Today we carried out our first Forest School class with parents, as well as our children! We spoke to the parents about what Forest School is and how we incorporate it in our nursery. Parents shared their ideas from home, discussing how their children explore the natural world around them at home. Everyone involved enjoyed joining in with our muddy faces activity, using clay and natural materials to create their own woodland creatures which they then created a story around. We also held a ‘Longest Line’ competition which involved using our bodies and clothing items to see who could create a ‘chain’. Some of the families were extremely creative and added natural items such as branches to create their ‘Longest Line’. 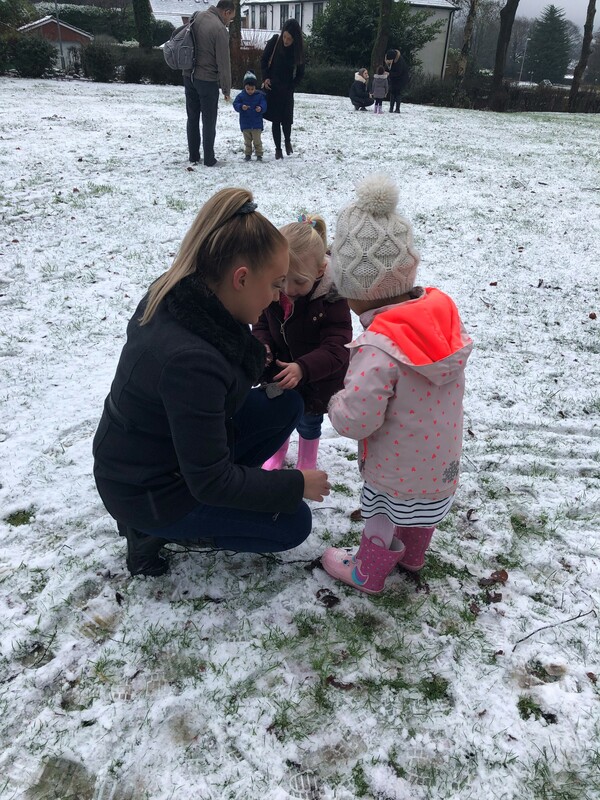 We enjoyed a snack of Cinnamon oranges, and then headed back to nursery to reflect on our Outdoor Forest School session. We received lovely feedback from parents, including their thoughts and even some ideas for next time! We can’t wait for our next session!